Formal titles, academic degrees, U.S. States — Associated Press style has rules for many of these abbreviations, but some (such as our use of graduation years and degree abbreviations) are our own style. Familiarize yourself with these rules for abbreviations, and in instances not covered here, refer to The Associated Press Stylebook. Spell out and use the lowercase: bachelor’s degree, master’s degree, doctor’s degree or doctorate. You can receive a doctorate or your doctor’s degree, but not your doctoral degree. If you prefer to abbreviate degrees, be sure to use periods: B.A., M.S., Ph.D. (with the exception of MBA and DO). As per the Associated Press Stylebook, use Dr. as a title in press releases or any external published material only for medical doctors. 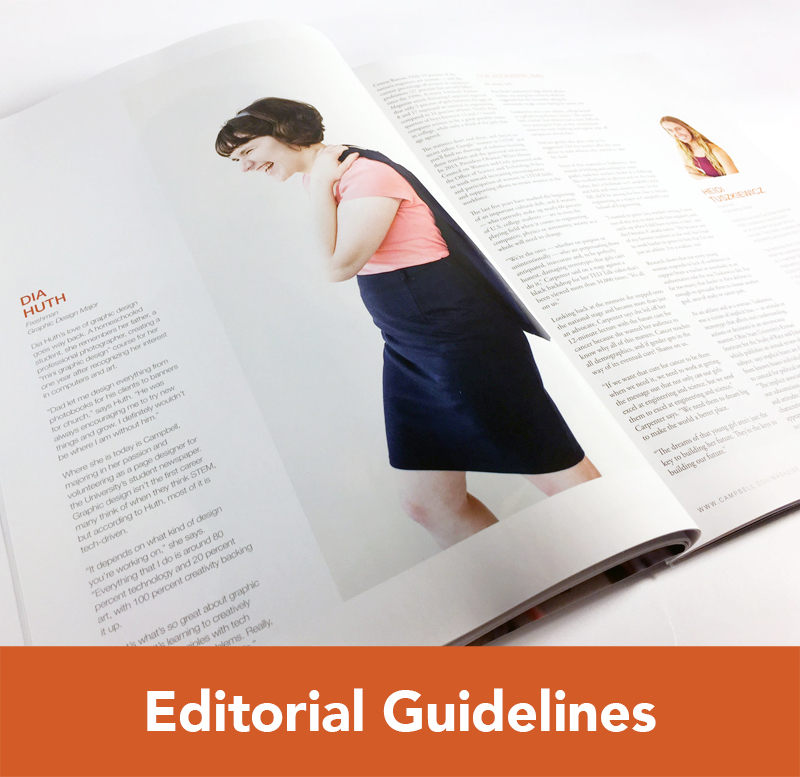 As such, the majority of our professors hold doctor’s degrees such a Ph.D. — their titles may be used for newsletters or press releases intended for an internal audience. Acronyms are acceptable if you feel the organization or program is commonly recognized or if it helps avoid repetition. Always spell out the full name, title or phrase on first reference, followed by the acronym in parenthesis. Then use the acronym on each following reference. It is not necessary to use an acronym if there is only one reference. Example: The Campus Activities Board (CAB) is planning the upcoming event. CAB officials say a large turnout is expected. Avoid using acronyms to identify Campbell University or its schools or colleges in external press releases, publications, social media or other material intended for external audiences. (See Campbell University and Identifying Colleges & Schools for more details on proper identification and exceptions where acronyms are acceptable). When including the names of an alumnus, alumna or alumni in a press release, publication or on social media, include his or her first and last name, followed by their graduation year in parenthesis (with a left-facing single quotation mark replacing the first two numbers of their graduation year). Both the name of the graduate and their graduation year should be bold. “CU” is not an acceptable abbreviation for the University on external editorial and marketing materials. We are Campbell University. 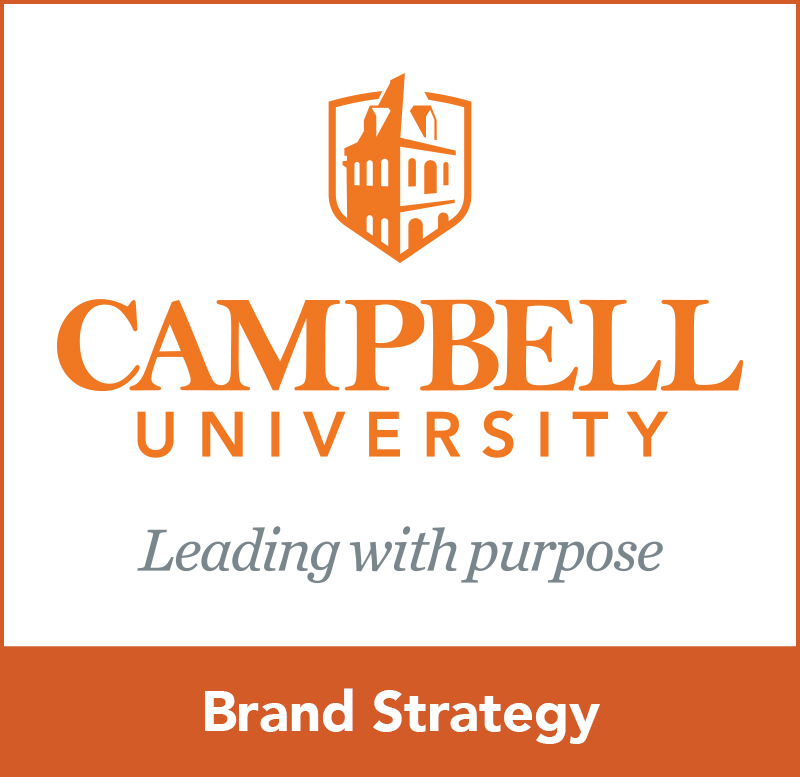 All external editorial and marketing materials must refer to us as Campbell University on first reference and “Campbell” or “the University” on all following references. Capitalize “University” on all references (even when not preceded by “Campbell”) to Campbell. Correct: We are Campbell University. Correct: Campbell students will perform in the auditorium. Incorrect: The CU baseball team will play Friday. A doctor of osteopathic medicine (DO) is a fully trained and licensed doctor who has attended and graduated from a U.S. osteopathic medical school. Graduates of the Jerry M. Wallace School of Osteopathic Medicine are doctors with the title DO. No punctuation is needed with this title. Do not use “DO” if you have already used the title “Dr.” before the doctor’s name. Correct: Dr. John Smith …. Correct: John Smith, DO, …. As per the Associated Press Stylebook, use Dr. as a title in press releases or any external published material only for medical doctors (medical doctors include professors with an MD or DO or graduates of the Jerry M. Wallace School of Osteopathic Medicine). As such, the majority of our professors hold doctor’s degrees such a Ph.D. — the title “Dr.” may be used for newsletters or press releases intended for an internal audience. You may also keep “Dr.” if the title is included in a quote about the professor. Correct: Dr. Jane Smith performed the operation. Correct: John Smith earned his doctorate degree from Campbell University. Incorrect: English professor Dr. John Smith will speak at commencement. Correct: English professor John Smith, Ph.D., will speak at commencement. 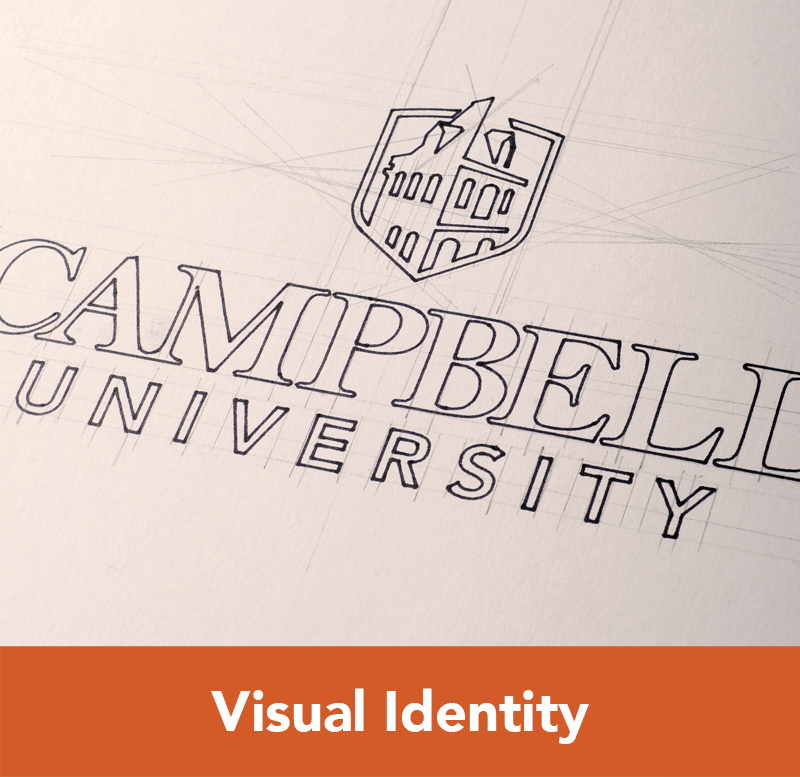 It is not necessary to use “N.C.” when naming a city or town in internal or external published material for Campbell University. Do, however, use the proper abbreviation or full name for the other 49 states. Do not use “N.C.” to abbreviate “North Carolina” within a sentence. Correct: John Smith is a sophomore from Raleigh. Correct: The alumni chapter will meet in New Bern this week. Correct: Jane Smith is a native of North Carolina. Incorrect (or unnecessary): John Smith is a sophomore from Mebane, N.C. Incorrect: Campbell enrolls more N.C. students than any other private university in the state. “N.C.” is acceptable when used in the title of a state organization. Example: The N.C. Department of Transportation or the N.C. General Assembly. Note the proper punctuation and capitalization in Ph.D.
Use “John Smith holds a doctorate (or doctor’s degree) in English” instead of “John Smith holds a Ph.D. in English.” Ph.D. should only be used when included as a title. Per Associated Press Stylebook rules, do not use “Dr.” as a title for professors, administration or staff members in external editorial or marketing materials or social media unless he or she is a DO or MD. Correct: The Rev. Smith will lead the sermon on Sunday. Incorrect: The sermon was led by Rev. Smith. The AP Stylebook states that full names of states should be used when accompanying the name of a city or town within the body of a story. The only place where a state’s name should be abbreviated is in the dateline, if that dateline is outside of North Carolina (for Campbell-related stories, N.C. is not needed). The following are correct abbreviations for states when used in the dateline of your story or press release. Note: These abbreviations are different from postal codes in most cases.